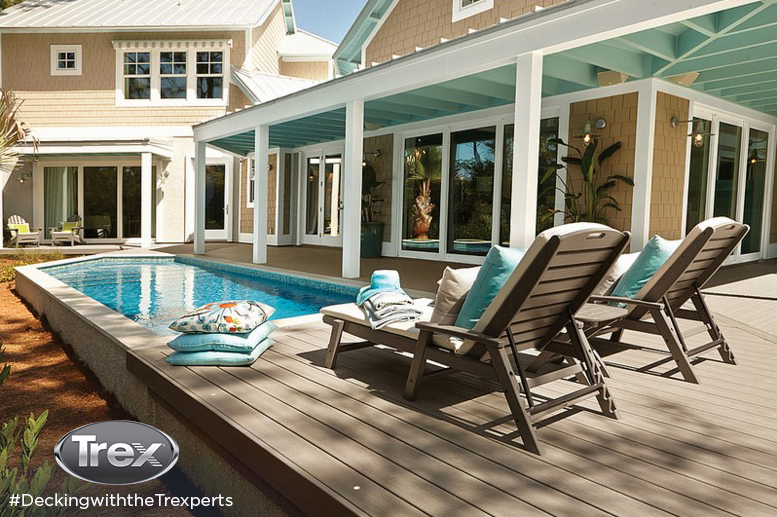 As the world’s largest manufacturer of high-performance, wood-alternative decking and railing, our client Trex turned to us to kick-off outdoor living season with two summer sweepstakes for its social media followers. Leveraging Trex’s partnership with HGTV personalities Paul Lafrance and Kate Campbell – a.k.a. “The Trexperts” – LCWA successfully hosted a sweepstakes on the online design and décor community, Houzz. 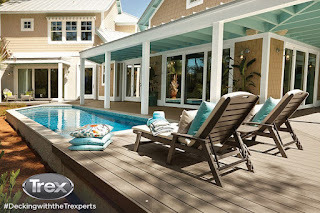 Followers who were participating in the “Decking with the Trexperts” sweepstakes were asked to add images of Paul and Kate’s favorite Trex decks to their own Ideabooks for the chance to win a piece of Trex Outdoor Furniture. To keep Trex top-of-mind, we hosted weekly discussions on the Houzz Advice forum ranging on topics from favorite features in an outdoor space to what people are the most concerned about when it comes to a deck build or remodel. Participants who answered the weekly questions were awarded with extra sweepstakes entries. Through heavy cross-promotion on Trex’s other social channels, including Facebook, Twitter and Pinterest, the “Decking with the Trexperts” sweepstakes generated more than 2,100 entries and saw a 137% increase in Houzz followers for Trex. We continued the social momentum by launching the #YourNextDeck Pinterest sweepstakes. 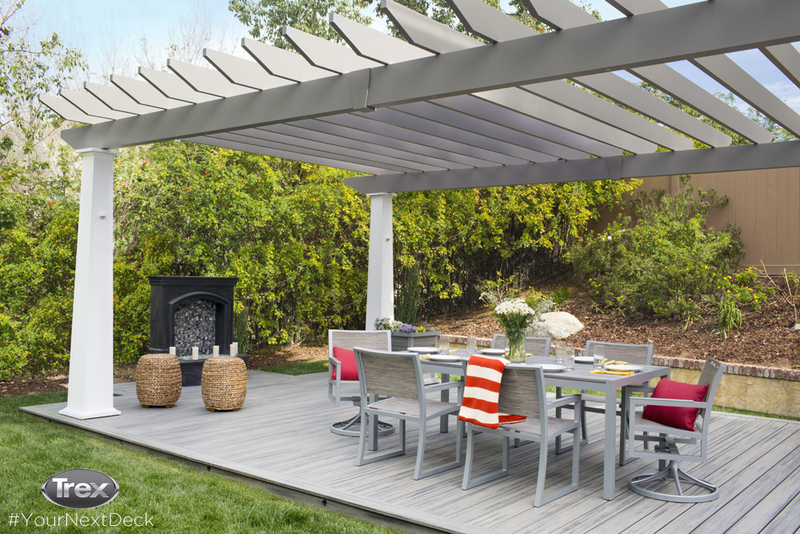 Entrants were asked to create a Pinterest board that featured outdoor living products that they would like to have on their next deck and also were encouraged to pin images from the Trex #YourNextDeck Sweepstakes Pinterest board to receive bonus entries. The sweepstakes ran for four weeks and generated more than 3,392 entries – more than double the participation of the same sweepstakes in 2015 – and helped to provide a generous spike in both Pinterest followers and traffic to Trex.com. Where my ladies at? A new study looked at how women interact with brands: 94% of women engage actively with brands online; 90 percent do so via their mobile phones, vs. 53% on their laptops; and 81% consider Instagram their social channel of choice. The main reason they follow brands socially is for discounts and promotions information. Let’s (NOT) talk Millennials… An article from Hootsuite discussed the common practice of building targeted social media campaigns around Millennials, and all the reasons why that is a BAD idea! Enough with the wires! PR Daily blogged about the trend away from newswires, recommending instead a more targeted approach to media distribution. To make a long story short… The hashtag #TheInternetIn4Words was trending for a bit this week. Some chose to keep it light, others made political statements and still others commented on humanity in the digital age. Speaking of politics… The hashtag #DoYourJob lit up the Twittersphere in response to feelings of frustration toward a less-than-productive federal legislature and the stalled Supreme Court nomination process. The not-so-subtle call for action stemmed from @POTUS and quickly spread to other issues including gun control and the (never-ending) Tom Brady saga. Twitter tries to silence: After conservative writer Milo Yiannopoulos’ Twitter account was suspended for allegedly instigating a barrage of hate tweets, the #FreeMilo campaign sparked a debate on freedom of speech via social media. …and more politics…Sorry guys, it’s convention season, which means lots of #UnusualPoliticalConventionFun! After day one of the #RNCinCLE, everyone was buzzing about #FamousMelaniaTrumpQuotes when her speech turned out to be quite similar to the one Michelle Obama gave at the 2008 DNC, stirring up claims of plagiarism. Just ask Cher or My Little Pony! Other highlights include police in riot gear sent to break up opposing protests in the Public Square outside the convention, and Third Eye Blind (remember them?) chimed in on (trolled) the event as well! On a happier note...Pippa Middleton, little sister to Kate Middleton, is engaged to her hedge fund manager boyfriend #JamesMatthews! WooHoo! Everyone but conspiracy theorists celebrated the 47th anniversary of the Moon Landing! Despite “SpeechGate 2016”, @FLOTUS got her groove on with a little #CarpoolKaraoke! And #PokemonGo dates are a thing now! Lucky #13! It was announced that Ava DuVernay’s Netflix documentary #The13th will be the first documentary to open for the New York Film Festival #NYFF and only the fourth to play in one of the festival’s key spots! Get ready for the HEAT WAVE! People in the UK were out and about during the #HottestDayoftheYear when temps rose higher than those in Sao Paulo! We are also in for a bit of a hot one to wrap up this week so stay cool everybody! Virtual Inspiration: @StuartScott, the ESPN broadcaster who lost his battle to cancer last year, would have turned 51 this week and his daughters decided to throw him a virtual ice cream party! Gary Marshall, 81, passed away this week, and fans and former colleagues flooded social media with tributes and memories. In addition, Ernest Hemingway’s 107th birthday and Robin Williams’ 65th birthday were also celebrated this week by fans and family. Sun or Snow at the National Hardware Show! 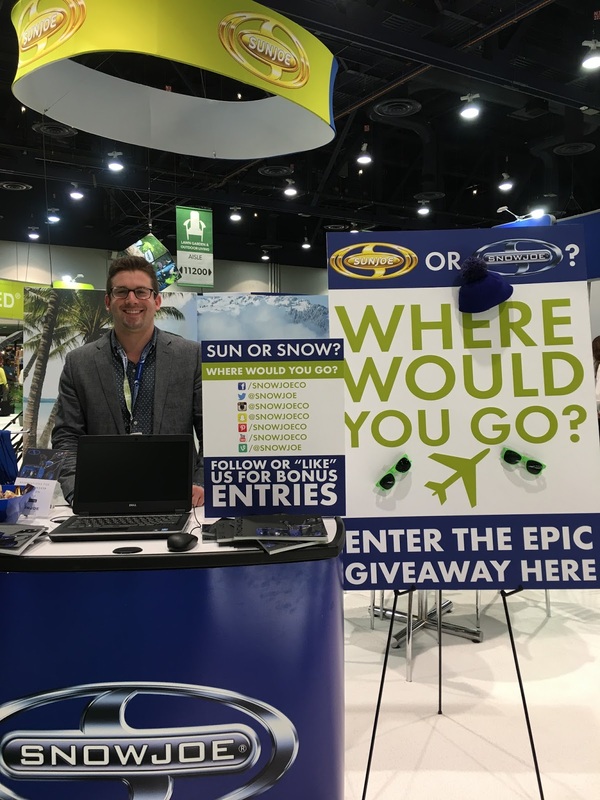 When our client Snow Joe + Sun Joe announced that it wanted to do its biggest giveaway yet – two trips for two to any SUNNY or SNOWY destination in the U.S., we knew we had to go all out with a full social blitz to promote this epic sweepstakes. One of the trips was to be given away on site to attendees at the National Hardware Show, so LCWA staff traveled to Las Vegas to promote the #SunOrSnowJoe sweepstakes and encourage entries, integrate another QVC product feature event, and meet media at the booth to show them the extensive line-up of innovative electric lawn and garden tools from Snow Joe + Sun Joe – including the revolutionary iON Dual Stage Snow Blower – the first completely cordless, self-propelled, battery-powered two-stage snow blower. While at the show, we helped drive constant activity at the booth and segued interest from sweepstakes entrants into full-blown booth tours. In addition, we leveraged the #NHShow hashtag for attention at the show and shared hundreds of photos and dozens of videos with Snow Joe + Sun Joe fans and followers on Facebook, Twitter, Instagram, Vine and Snapchat – including a live winner announcement from unofficial mascot Snow Bro on Facebook Live and Periscope. After the show, the fun continued, as we rewarded Snow Joe + Sun Joe’s loyal and active Facebook community with a #SunOrSnowJoe sweepstakes of their own, leading to nearly 17,000 entries and 500 fans gained, end ending with another Facebook Live winner announcement! We look forward to pushing the envelope on social media for Snow Joe + Sun Joe as they continue to revolutionize the lawn and garden tool industry. Pokémon Go absolutely exploded. Here’s what the mania exposed about our modern society. Trump says a bunch of things, picks a VP (or maybe not?) and Bernie concedes to Hilary – which is giving his die-hards indigestion. Actor Anthony Anderson had a great time announcing the Emmy nominees, especially when he got to announce Anthony Anderson for Best Actor in a Comedy Series. Keeping It Old School – To the delight of ‘90s kids everywhere, Pepsi announced that it is relaunching Crystal Pepsi later this summer. In the meantime, fans of the soft drink can indulge their nostalgia with a revamped 90’s version of the elementary school favorite, The Oregon Trail. Can your wooden station wagon full of Crystal Pepsi survive the journey! Put on Your Goggles – Virtual reality is no longer just the stuff of video games. With its ability to immerse users in a complete environment, the technology provides an incredible opportunity for brands to convey experiences and messages. @PRDaily has these four tips for incorporating virtualreality into your public relations campaigns. Snapchat Goes Mainstream– Think Snapchat is just for teens? Think again. New research from @comScore shows that an increasing number of adults – including 14 percent of smartphone users 35 and older – are using the app, which still retains its immense popularity among teens and young adults. Grandpa Style – He may have needed help setting up his Twitter account, but 54-year-old Houston schoolteacher Irvin Randle set social media ablaze this week with his stylish selfies, dubbing him the moniker #MrStealYourGrandma.